WILL Setterfield reaffirmed his top-10 prospects with a 28-disposal display to help NSW/ACT seal the Division 2 NAB AFL Under-18 Championships. The GWS academy product was excellent in the first half when the game was up for grabs, using the ball well and rarely flustered when in possession. Standing at 190cm, Setterfield is a big midfielder who has modelled his game on Fremantle skipper David Mundy and Carlton's Patrick Cripps. Zachary Sproule slotted four goals in the first half before going off with a tight adductor. He also gathered 12 disposals and took seven marks to put himself in contention for best-on-ground honours before the injury. Like Setterfield, Sproule is tied to the Giants through their zone. Ben Davis, the brother of Sydney Swan Abe, also booted four goals. The NAB AFL MVP for NSW/ACT was Harry Perryman. Usually a midfielder, the 184cm prospect went to half-back and used his clean hands to great effect. Fletcher Carroll spent his time in the middle and up forward, finishing with 26 disposals and a goal. His energy around the ball meant he was always dangerous. Max Lynch, a 200cm ruckman, kicked two goals and showed he could thrive in attack. The Giants will have first dibs on him at this year's draft, along with Setterfield and Sproule. 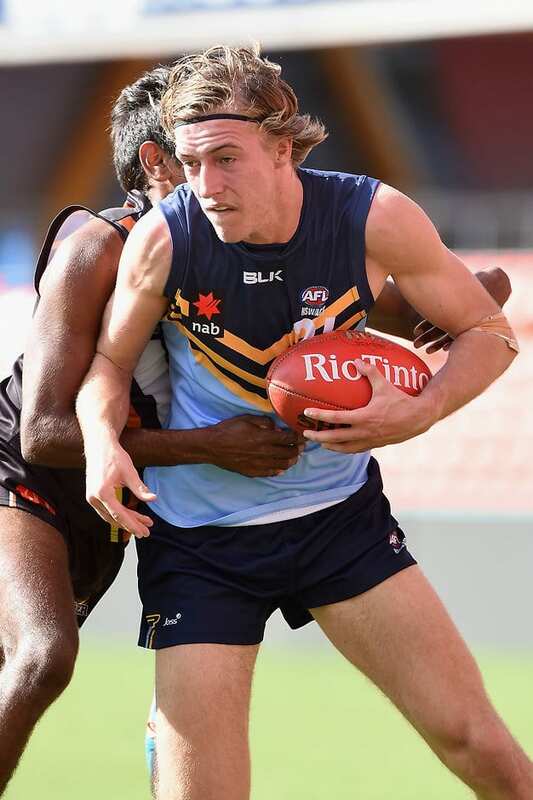 For the Northern Territory, Rohan Armstrong was the carnival MVP, adding another 21 disposals on Sunday. The left-footer was dynamic and played as a midfielder and small forward. Lachlan McKenzie topped the possession count for his team with 27 and provided drive out of defence. Ben Long, 18, was another significant contributor with 22 disposals and has already garnered interest from AFL clubs.